This three-day workshop is designed to equip instructional leaders to lead their own Bridges in Mathematics: Getting Started Workshops in-district for new hires or new-to-grade-level teachers. 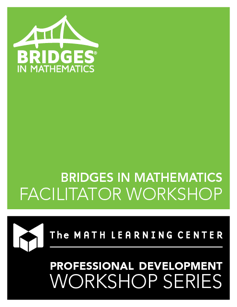 Participants will experience a condensed Bridges in Mathematics: Getting Started Workshop covering both K–2 and 3–5 grade bands. They'll leave with the knowledge and materials necessary to offer these workshops in their own district. Planning time is provided on day 3. Included is digital access to a facilitator guide, participant packets, videos, and PowerPoint presentations. After completing the workshop, districts have the option to purchase Instructor Tubs containing the same materials our workshop leaders use. 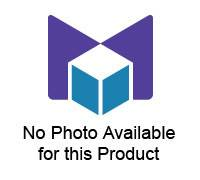 Tubs are configured to support workshops for grade bands K–2 or 3–5. For more information, please call 1-800-575-8130 or email Shanel Parette. Examine the Standards for Mathematical Practice as they relate to implementing Bridges in Mathematics and Number Corner. Investigate K–5 vertical alignment with models and strategies that support student understanding. Gain confidence in presenting essential knowledge about assessments, intervention, Work Places, Number Corner, and online resources. Learn ways to impact teacher beliefs, shift their practice, and increase their content knowledge. Create professional development options based on teachers' needs and wants. Plan for in-district workshops and follow-up meetings. Network with other district leaders. Hosted by Wayzata Public Schools. Each day will begin at 8:00 am and end at 3:00 pm.